Interior design and soft furnishings. Drapery workroom. We specialize in using natural and organic fabrics like hemp, organic cotton and linen. Shop online or send us an email for a quote. We ship all over the world. We are a 45 year old family run company, with a reputation for exceptional customer service and product knowledge. 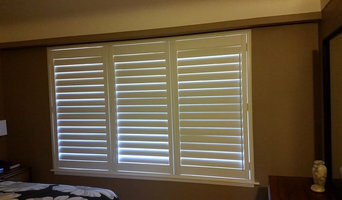 We supply and install custom made blinds, draperies, shades and shutters. We are motorization experts and have many years experience with simple to complex motorized systems. We provide free in home estimates and we have grown because of our commitment to providing quality custom window coverings for reasonable prices. The ideas and experience of a professional, all in the comfort and very particular lighting of your own home. Our free in home estimates come with no obligation or pushy sales staff guaranteed! 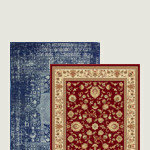 We pride ourselves in giving honest opinions to help you in choosing a style and color that compliments your interior. Imagine, business like it used to be! Give us a try and see why we have been in business for so many years! Our personalized service will ensure that selecting the right window coverings is a reflection of your personal style, while making the functions of the products work for you. Today's better quality window coverings offer features that if properly matched to your requirements can exceed your expectations. Linda Masarsky grew up in Vancouver and holds a Bachelor of Interior Design from the University of Manitoba. 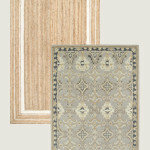 She has spent many years providing interior design and window treatments for clients in the lower mainland of BC. Fresh Space Redesign is focused on bringing unique solutions to everyday design problems. 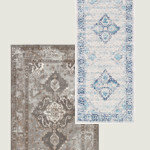 They take function, purpose, and budget into consideration when styling your home or business. Their philosophy is to filter through a wide variety of products to offer a simplified selection of solutions for any space. The architectural elements of the space act as a canvas for our lifestyles, and the window treatments are there to enhance the space. Jennifer, the lead designer, is not originally from the PNW, but has called it home for most of her adult life -- she embraces all things local, coastal, outdoor and creative. Jennifer brings over twenty years of design experience to her projects. 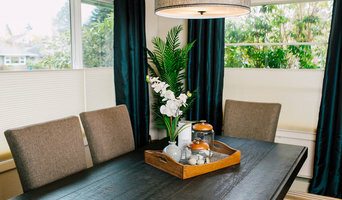 When she first meets with a client it is vital that she understands the full story and vision of the client for what they want their window coverings to do for their space -- rather than just getting a sale. This is what truly sets them apart from their competition, they want to get to know you and your project. She is not the type of designer to impose her own sense of style onto a clients’ space. She utilizes her interior design experience to enhance the client's style by presenting products that follow classic elements of design in every space, essentially creating an authentic design. The right shade can create a backdrop to the furniture, fabrics, and decor of the space, where the wrong one can detract from the style and even derail the entire design. This is where their slogan, "Window Coverings for your Lifestyle" came from. If the selections are done thoughtfully, the shades will silently dissolve into the space or pop as the wow-factor in the room. They know clients are not always aware of all the products available, so their goal is to ensure they are leveraging the right products for your space. Their decision to offer a showroom was driven by the need for a design focused resource in the local area. The North Puget sound didn’t have a place where clients could come in to work on projects without the hustle & bustle of the home stores. The showroom is a cozy space, providing private viewings without the common interruptions of other retail spaces. For years the team has worked directly in the field - either in homes or offices without a showroom. This intimacy with the clients is important, so the space is a reflection of that feeling. The space showcases window coverings, bedding, linens, and draperies in vignettes rather than conventional branded displays. Bayview Blinds is the only locally owned and operated, full service window covering company serving homes and businesses on Whidbey Island! Garth and Michelle Crisman’s collective experience in the industry began in 1990 while working for a company in the Seattle area – in 1996 a mutual love for Whidbey Island prompted them to open Bayview Blinds as a home-based business in the Coupeville area, initially specializing only in cleaning and repair. Eventually, in order to cover the needs of every client, they began offering a full service solution, which included opening a repair shop in Oak Harbor in 2008. Their mobile unit conveniently brings the showroom directly to the customer – their professional sales staff always carries the latest in window covering fashions. Today, they continue to offer a variety of name brand window treatments to meet any window covering need. 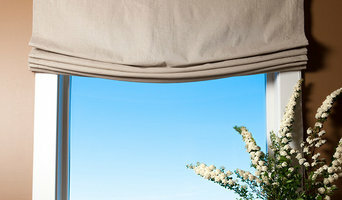 Simply need to rejuvenate your existing blinds and shades? Have their on-site, ultrasonic blind cleaning and repair service come directly to your location. Call today for your free in-home consultation! 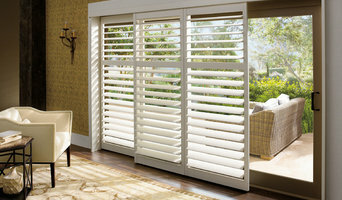 Bayview Blinds Inc is a full service window covering specialist. We offer new window covering sales including shutters, blinds, shades and drapery in traditional manual or with motorized options. Made in the Shade Blinds & More offers the best window covering products in the industry with exceptional service and affordable prices. Our advantage is that we bring the showroom to you with our shop-at-home convenience. At Made in the Shade, our personalized service includes a complimentary consultation, complete with free measuring and a free estimate. This service allows you to see various window coverings in your own environment, enabling you to see how light, room colors and furnishings affect your options and choices. You will find quality, name-brand window coverings at GUARANTEED LOW PRICES, and every purchase is backed with a manufacturer’s limited lifetime warranty. Our goal is to have completely satisfied customers every time. So, let us provide you with the most pleasant window covering shopping experience ever! visit www.madeintheshadefv.ca for more information today and to contact your design professional for design, functionality and product information. At designs by mara, we are focused on providing outstanding services with the highest levels of customer satisfaction & we will do everything we can to meet your expectations. Our team has over 35 years of experience in Window Treatment and Interior Design services. With a variety of offerings to choose from in our well stocked showroom, we're sure you'll find the perfect materials for your project. Our design staff consultants are ready to meet with you at your home! We are a full-service soft goods design service taking you from idea to install with a wide range of experience. We specialize in Total Fabric Decorating; designing window treatments, reupholstering or creating slip covers for any style/size couch or chair, dressing your bed from custom headboard to duvet, comforter, coverlet, to bed skirt, customizing pillows to match any room in your home, as well as any other fabric accessories you believe needs a professional touch. We can help you design that perfect room you've always desired. For the last 20 years it has been successfully serving the Delta area of British Columbia, providing the highest customer service, dedication and commitment to its clients. It has been M&M Interiors vision to see clients happy with their selections and confident in their choice of window coverings. This vision has been the foundation of its success and personal referrals have driven M&M Interiors growth since its inception. M&M Interiors has officially become a mother, daughter team since the move to the Langley/Aldergrove area. Maria (Marijke) and Corina are delighted to offer clients, old and new, twice the energy and enthusiasm that has been the hallmark of M&M Interiors. It will continue to provide old-fashioned quality customer service with a fresh approach to meet the needs of the modern family. 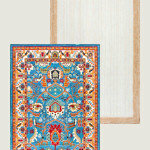 By coming to your home or business M&M Interiors is best able to meet your personal window covering needs. For 40 years A Custom Shade Company has specialized in the manufacturing of custom window treatments, draperies and bed ensembles. We manufacture to your design specifications using your chosen fabric. At A Custom Shade Company you have our pledge that you will receive nothing less than honesty, quality and a company-wide dedication to your complete satisfaction. As a custom workroom, we are committed to serving your needs and making each of your orders an easy and profitable experience. As a design professional, you require reliable, fashionable, quality products. You want trained professionals, providing excellent service and innovation. We would like the opportunity to provide these services to you, as we are determined to provide the best custom products available. We design and fabricate window treatments and soft furnishings, specializing in curtains, draperies, valances and blinds. We carry one of the largest selections of drapery and upholstery fabric samples North of Seattle and also offer drapery hardware and blinds including Hunter Douglas, Graber and Horizon. 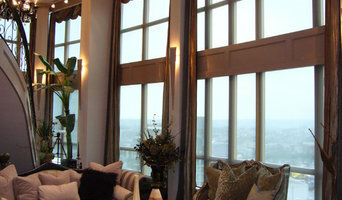 Professional window covering specialist with over 25 years of industry experience. The only Victoria based company able to manufacture all goods in house, provide onsite consultations, measure and installation within their own company. Hardware, blinds, fabric and wallpaper supplier. Upholstery services and custom furniture design available. Serving architects, builders, interior designers and their clients on Vancouver Island and the Gulf Islands. As a leading supplier and installer of blinds in Victoria BC, we offer a wide selection of Hunter Douglas custom blinds, shades, sheers and shutter options for your home or office. We also specialize in custom closets and closet organizers from BC-based manufacturers, as well as wall beds — stylish, space-optimizing solutions personalized to your budget. With the advent of online shopping sites, buying blinds, closets and wall beds has become easier than ever before. If you have the time to compare all the options, measure your space, and install the equipment yourself, this could be a good option for you. At Victoria Blinds and Closets, we take this burden off you, and guide you to make the wisest choice possible. Here are four ways we add value. People recommend us because we have delivered something of value to them. That value extends beyond great quality products at a sensible price. It's based on the level of commitment we make over the lifetime of the relationship with you. Feel free to reach out to us, we would love to hear from you! Ruffell & Brown Window Fashions has been locally owned by Nigel Brown and Debra Ruffell since 1987 and has grown to one of the largest independently owned window covering retailer in Canada.